There are few things more frustrating than a clogged or slow drain—especially if one of those is a kitchen or bathroom drain. And while you can buy chemical drain cleaners that claim they can knock out “even the toughest clogs,” those can actually do serious damage to your pipes and tend to do more harm than good. The best option? Call Peninsula for drain cleaning services! If you have a clogged drain in your home in Delaware or Maryland, don’t wait—call Peninsula today at 302-629-3001302-629-3001 or click here! Kitchen drain cleaning – kitchen drains are particularly susceptible to clogs. Things like grease, soap, and other food particles can get trapped in your pipes, closing them off and eventually causing them to become completely blocked. 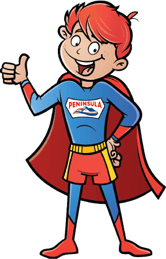 The best way to knock out a kitchen drain clog is by calling Peninsula! We’ll use a drain auger to break up the clog and send it through the pipe and out of your house. Bathroom drain cleaning – hair, soap, dirt, etc. can all cause major blockages in bathroom drains, which include both the sinks and the shower or bathtub. Again, a professional drain cleaning company is the fastest, easiest, and safest way to clear out a drain clog in the bathroom. Sewer line drain cleaning – if all of the drains in your home start backing up at once, look out—you’ve probably got a clog somewhere in your sewer main. Sewer main clogs are commonly caused by tree root invasions, which can cause things like food and toilet paper to get stuck and create a huge backup. If you need drain cleaning in Delaware or Maryland, there’s only one name you need to know—Peninsula! 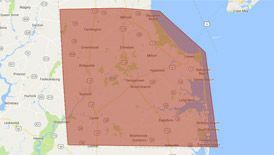 Call us today at 302-629-3001302-629-3001 or click here! To find out more about drain cleaning in Delaware and Maryland, contact us today!